Each of our specially adapted custom homes for injured Veterans is equipped with over 40 major special adaptations and exceeds ADA compliancy standards, providing full accessibility for the Veteran. These adaptations include wider halls and doorways, automatic door openers, roll under sinks, stove tops, and counters, pull down shelving, generators and safe rooms, all designed to help the Veteran live independently. 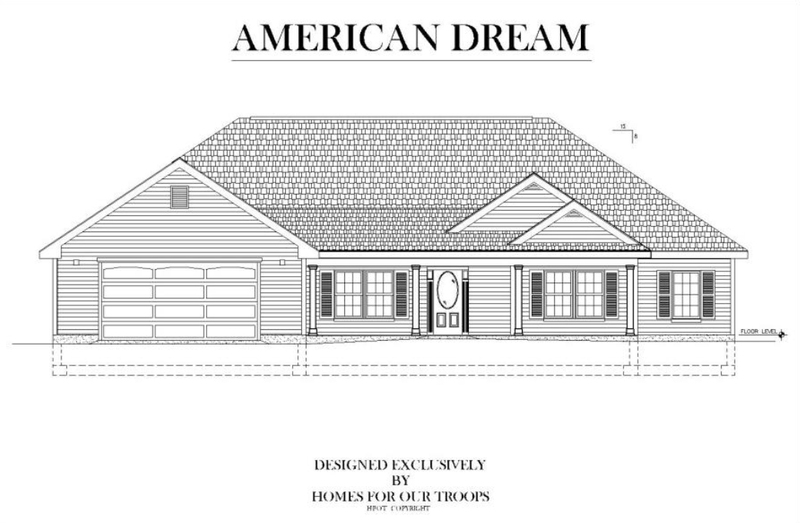 Homes For Our Troops builds four-bedroom, two bath, specially adapted energy efficient homes of just over 2,800 square feet, the right size home for a Veteran to comfortably raise a family while limiting expenses for utilities. 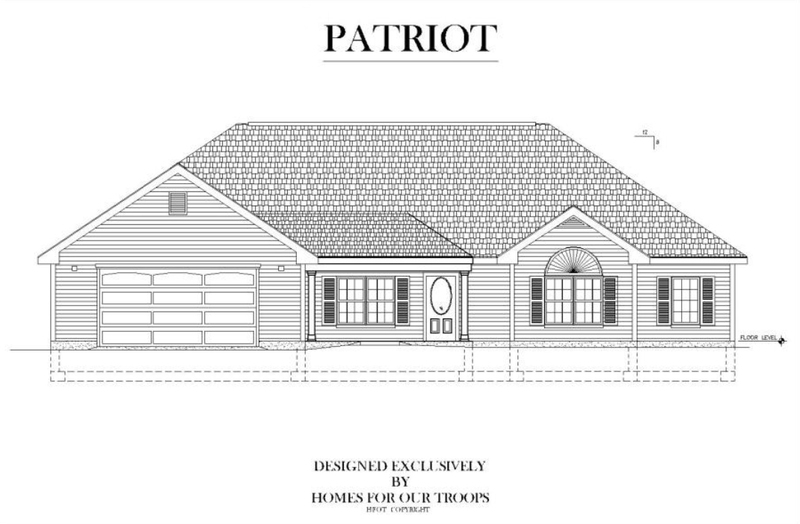 Homes For Our Troops has been building homes for injured Veterans since 2004. We strive to continually update our building materials, methods and practices to ensure our homes are of the highest quality. Note: All three homes offer same square footage (approx. 2800 sq ft). Here you will find the answers to the questions most frequently asked about our specially adapted custom homes. Click the button below if you need more information. We build new specially adapted custom homes. Our homes have over 40 major special adaptations to provide full access to the home for the Veteran. 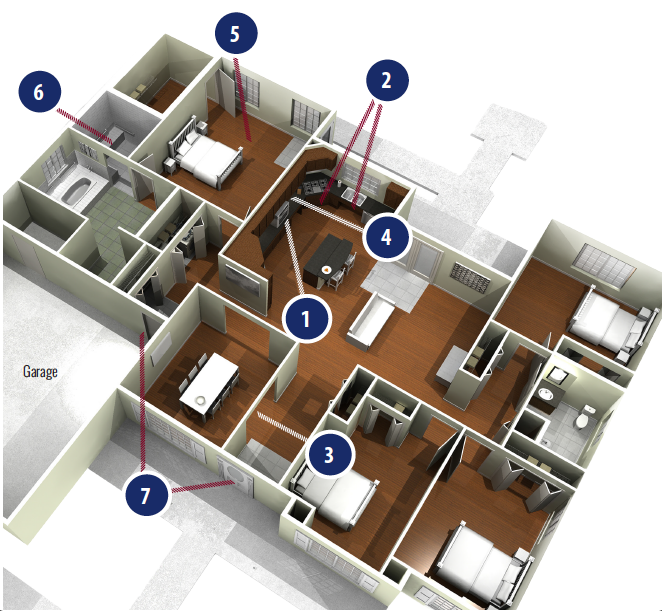 These adaptations include wider halls and doorways; automatic door openers; roll-under sinks, stove tops, and counters; pull-down shelving; backup house generator; sliding windows; roll in shower with digital temperature control; and a master bedroom closet that is a steel reinforced concrete storm room built to FEMA standards. No. The Veteran does not pay a fee toward the cost of the home, and there is no mortgage to be paid by the Veteran in the future. No. Homes For Our Troops, Inc. is a 501(c)(3) tax-exempt public charity. As such, IRS regulations allow it to provide the home to Veterans in accordance with its mission and charter without any gift tax implications for the Veteran. Although the Veteran pays no mortgage, HFOT places a 10 year lien on the home. This protects the Veteran from losing the home due to foreclosure and safeguards our donors’ investments in the program; it also provides a period of time for the family to become more financially stable. Beginning in year six, the Veteran accrues 20 percent equity per year until he/she has full equity after 10 years in the home. 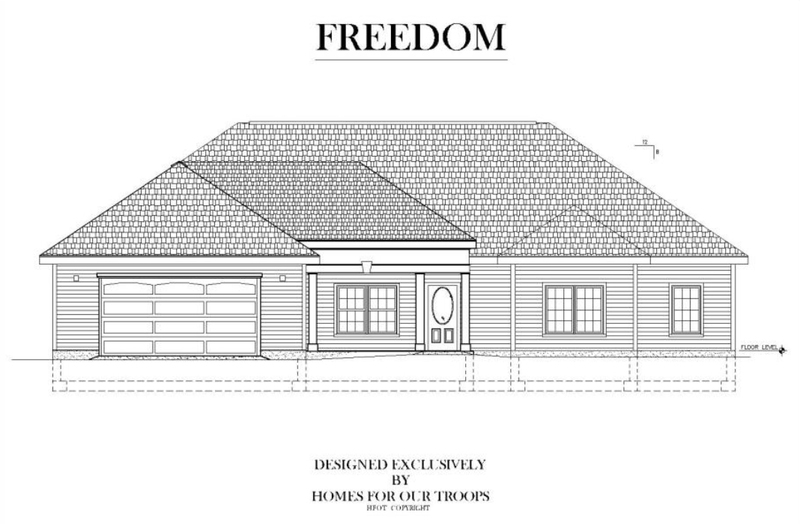 Of the over 240 Veterans for whom we have built homes, only two have moved out before the end of their lien period. This is reflective of our thorough selection process, and follow up once the Veterans are in their home. It is our goal to build homes of the highest quality, using top quality products that endure the test of time (Kohler, Armstrong, Whirlpool, CertainTeed, etc). We build all our homes to Energy Star standards, providing maximum efficiency and lower utility expense. We look for builders who have a track record of high quality workmanship in an effort to reduce the amount of maintenance and expense to our Veterans. Inside HFOT’s 250th Home. Take a look inside our 250th home. Impact of our Homes. Read about how an HFOT home helps to reduce worry and stress for our Veterans and their Families. Resources for Veterans. We have complied a comprehensive list of additional resources for our Veteran’s needs. Lowered Countertops & Accessible Appliances: Height of oven and cooktop surface enables safe food preparation. Roll-Under Access: Wheelchairs fit under all countertops, sinks, and cooktops. Widened Doorways and Hallways: Enables complete wheelchair access. Pull-Down Shelving: Eliminates need to climb or reach, reducing risk of falling from wheelchair. 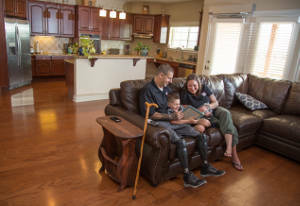 Hardwood Floors: Carpet-free surfaces enable for ease of wheelchair use. Roll-In Shower: Enables Veteran to transfer from wheelchair, reducing risk of slipping on wet floor. Automatic Doors: Enable hands-free accessibility when entering or exiting the home.